We got to go "hole hopping" with @lv2nymph and @flyskillz on Spring Creek today! It might be hard to believe, but Garrick and I have never been to Spring Creek in State College. Well, since I’ve only been fly fishing for a few years now, it’s not hard to believe that I’ve never been there … but Garrick certainly has no excuse. This past Sunday we decided to change that and take a day-trip up to Bellefonte to see what we’ve been missing. Also, the break in the weather was just too good to pass up! We got to go “hole hopping” with @lv2nymph and @flyskillz on Spring Creek! I’ve got say … Spring Creek is definitely worth the trip, no matter how far you’re coming from. Something else that made the trip worthwhile was the two dudes we got to fish with … Ben Rogers and Jack Fields. 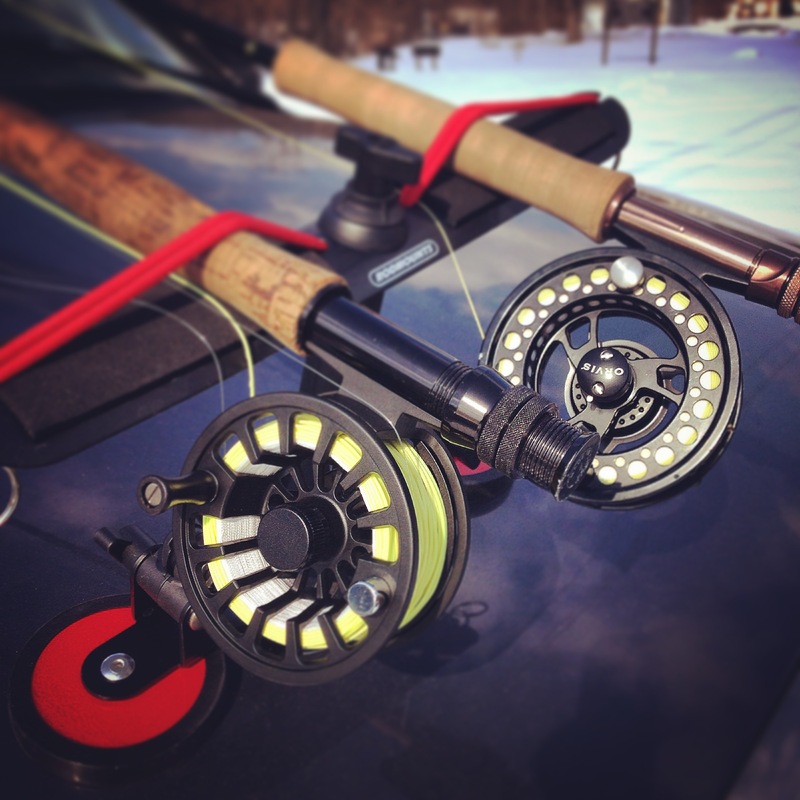 Ben is a professional fly fishing guide from the Hanover, PA area. His credentials include being an ambassador for Soul River, as well as being a “farmer” for Pigfarmink State Penn, and just an all-around badass dude. (I got to hear the Cliff’s Notes version of Ben’s life story during our 90-minute car ride home and let me just say … I consider myself lucky to be fishing in the same water as this inspiring individual.) While we all had a hard time getting anything to bite, Ben managed to hook up with a couple suckers throughout the day. I met Jack through Instagram a while back and had the great fortune of meeting him in-person a couple weeks ago at the Fly Fishing Show in Lancaster. While making plans to hit Spring Creek, I regularly sought out Jack’s advice for what places to try. (Many thanks to Austin Dando, too!) Luckily, Jack was able to meet up with us Sunday morning for a couple hours before tending to the family. He made sure to point out some of the nicer holes and parking access areas above Bellefonte, and for that we are eternally grateful. I’m really looking forward to the next time I can fish with Jack … hopefully in better conditions. Enough of the setup, let’s get to the video! Until next time, tight lines! Enter your email address to follow the Black Gnats and receive notifications of new posts by email.